THE only things that aren't feeling the chill this winter are potatoes. The spuds are snug as a bug in the ground, despite frosts inland, says Barney Point grocer Phil McCormack. Not so the case for the region's residents, who've been feeling it the past few days. A high-pressure system in the bight and a low pressure in the Tasman sea are to blame, says the Bureau of Meteorology's Jessica Gardner. "Together they are directing a lot of cold dry air up from the southern ocean," the meteorologist said. "It is probably coming off the ice from Antarctica." While Gladstone's temperature dropped to nine degrees yesterday morning (three degrees below average), in Biloela, the mercury fell to -0.2 degrees yesterday and this morning. The lowest record for Gladstone for June was from 2009 of about five degrees. Frosts have been reported inland over the past few days. 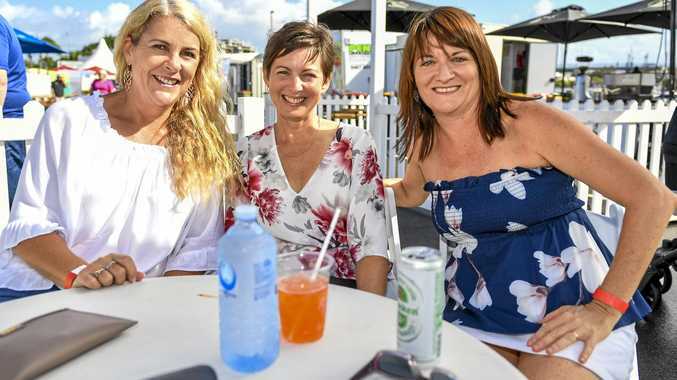 Tomorrow morning Gladstone will get a minimum of eight degrees while Biloela is looking at minimums of three degrees for the next two days. Ms Gardner said the cold weather which had blanketed the eastern states should start to lift in "the next few days". "For Thursday and Friday, we're seeing an increase in cloud clover, it provides insulation which stops those minimum temperatures dropping so far," she said. A cloud band over the western states has kept minimums a bit higher. Although locals agree it's been a chillier winter than last year for the region, no records have been broken. 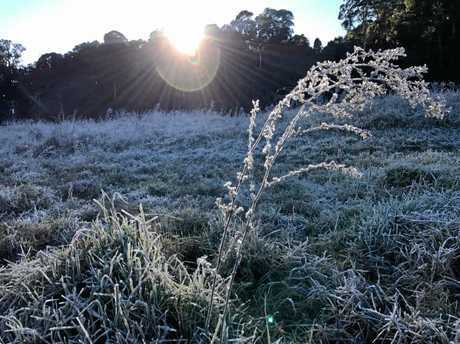 Mr McCormack says it's still enough to knock local growers around when the frosts come. "The only thing it won't hurt is potatoes. Anything above ground gets frozen," he said. 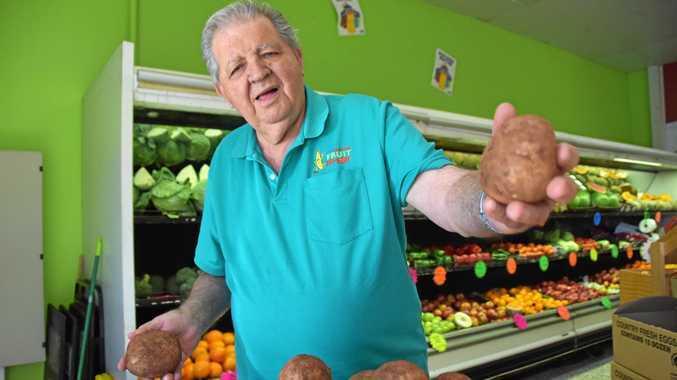 Mr McCormack, who has owned Gladstone Fruit Shop for about eight years, said he was expecting local suppliers of cauliflower and green beans to have lost produce but he would still be able to source them from other areas. He said the frost didn't kill the plants, but it killed the produce.